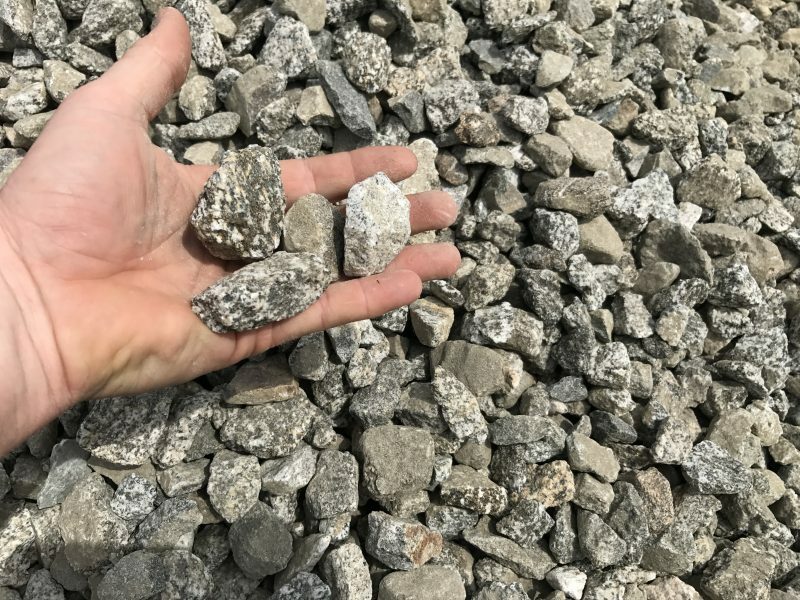 Drain Rock is 1.5″ granite gravel with a salt-and-pepper tone and a rough texture. This size gravel is almost too big to comfortably walk on, but still looks good in flowerbeds. The most common use for Drain Rock is in leach lines and drainage systems.